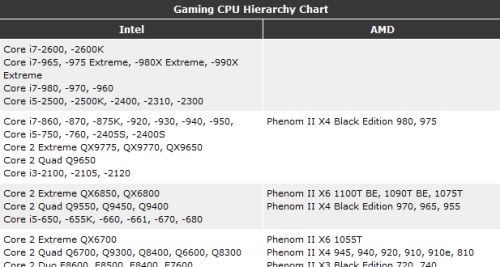 You can easily spend dozens of hours researching performance on CPUs and GPUs. But what if you don’t have dozens of hours? What if before you spend that much, you just want a general idea? Something to start from, so you can decide whether it’s even worth looking at an upgrade in the current market, like: “will doubling my GPU performance cost around $50 or around $500?” for example. How do we quickly find out roughly how fast a particular CPU or GPU is? Here are 3 sites using 3 different methods that can quickly give you a general idea of performance. Mad props to the r/buildapc community for recommending some of these. 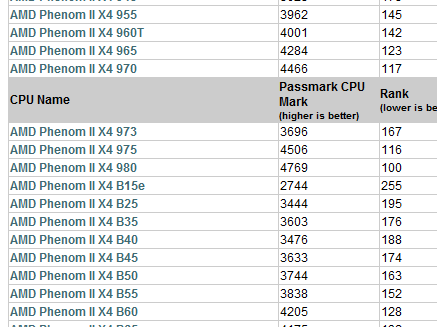 The CPU charts only show somewhat recent CPUs (so I can’t see how my current machine compares unless I upgrade every few years – in which case I know a lot about recent hardware and probably don’t really need these charts). 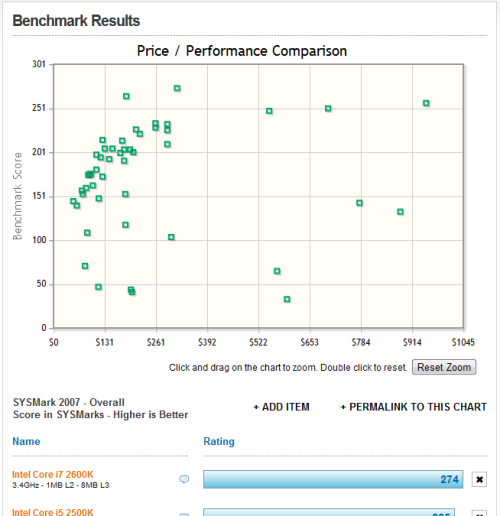 Also includes a nice price-performance graph, useful for those who live in the US and therefore can buy from NewEgg.